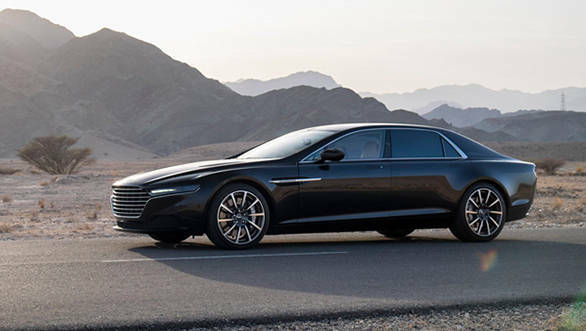 Aston Martin recently sent its brand new Lagonda luxury saloon to Oman for hot weather testing. Now the company has released the first official photographs of the super saloon. This is the same car that has been sent to the Middle East for a long and gruelling round of hot weather testing. As you can tell from the images, the Lagonda is long and stately with a squared off and edgy theme that is synonymous with Lagonda's history (check out the Lagonda Series 4 from 1989). So far Aston hasn't released any further details, or even images of the interior but they have announced just what kind of testing the Lagonda will go through in Oman. It will be run for 800km a day on average in temperatures that can cross 50 degrees Celsius. The company plans to put it through these conditions for a total distance of nearly 23,000km. The reason the car is going through so much hot weather testing is that this car's target clientèle belongs exclusively to the Middle East. 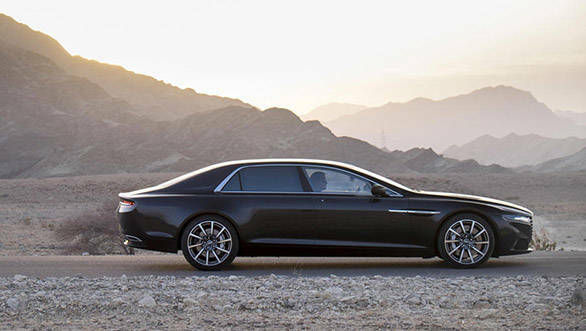 Aston will build the Lagonda saloon in very limited numbers and buyers will be selected purely at Aston's discretion. Take a good look at these images. They're probably the best look of this super exclusive car you will ever get.